Select (size) size / age 50 cm. / 0 m. 56 cm. / 1-3 m. 62 cm. / 3-4 m. 68 cm. / 4-6 m. 74 cm. / 6-9 m.
Our super soft raw nature off white body is giving your child the perfect feel of comfort throughout the day. Our much loved kimono bodysuit is now available in a short sleeve style. 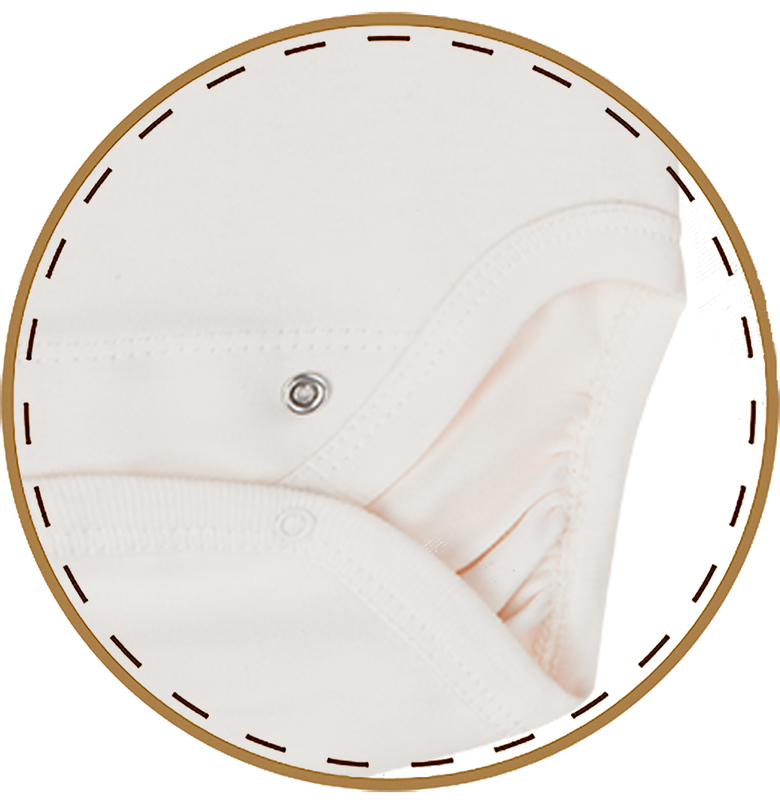 This wrap style is a great option for newborns as you avoid pulling garments over baby's head. Easy to fasten with snap domes on the inside and outside as well as the crotch and outside leg. 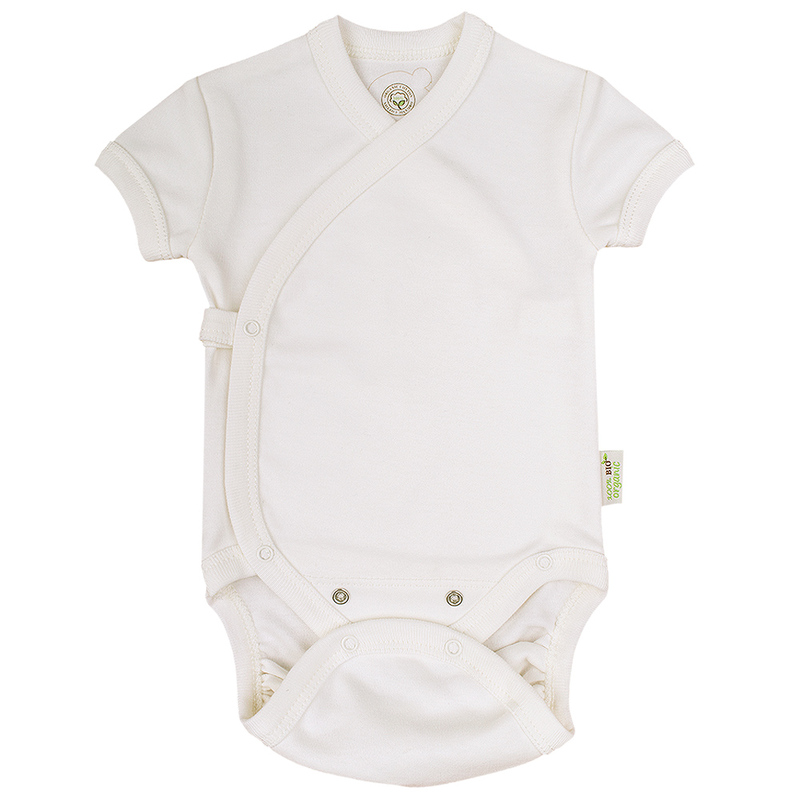 A perfect bodysuit made from the highest quality, hand-harvested organic cotton. • The wrap style of these bodysuits makes getting your baby dressed much easier as you don’t have to pull anything over their precious head. • The double press-stud at the bottom allows to change the size of body.